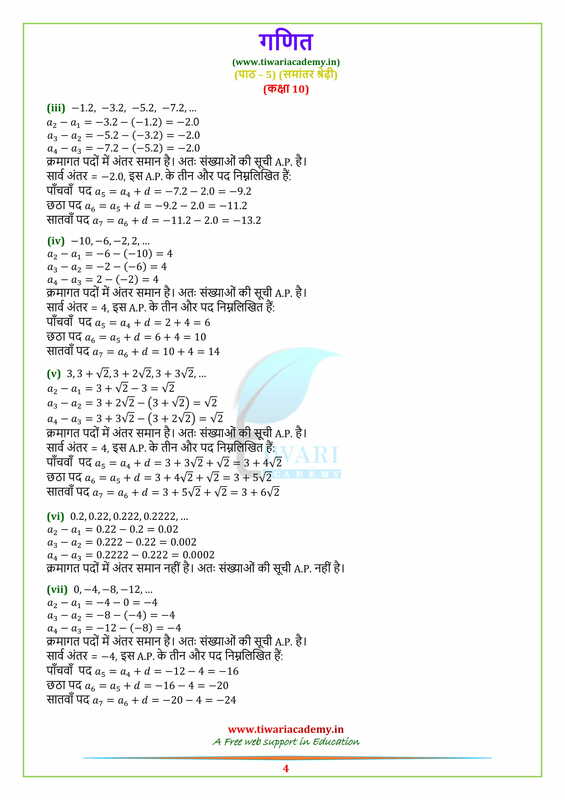 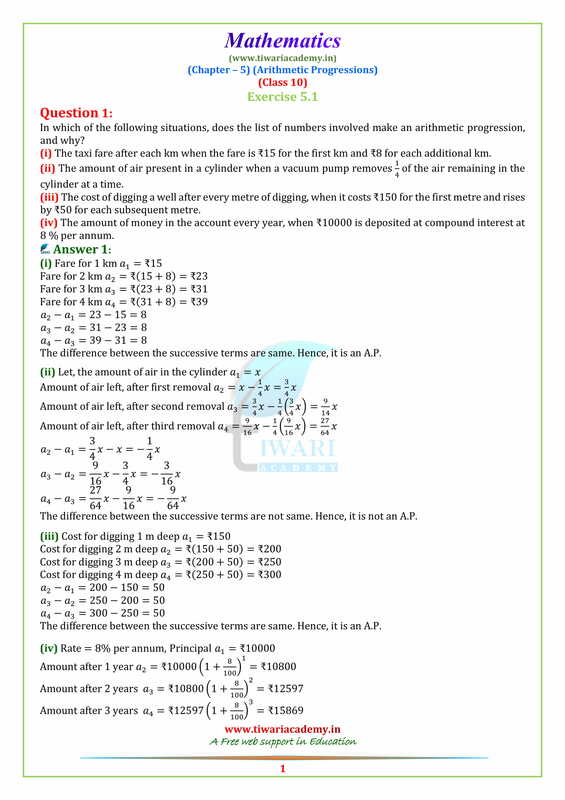 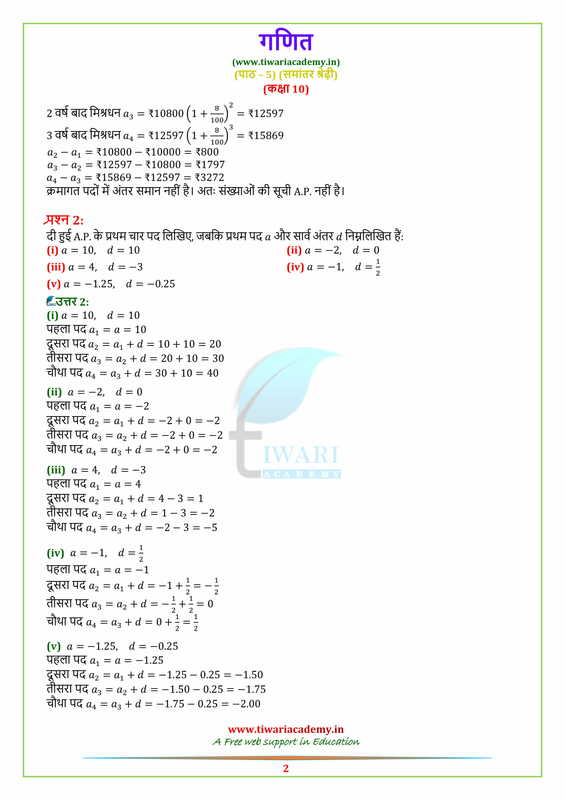 Free download NCERT Solutions for Class 10 Maths Chapter 5 Exercise 5.1 of AP (Arithmetic Progression) in English Medium and Hindi Medium PDF form. 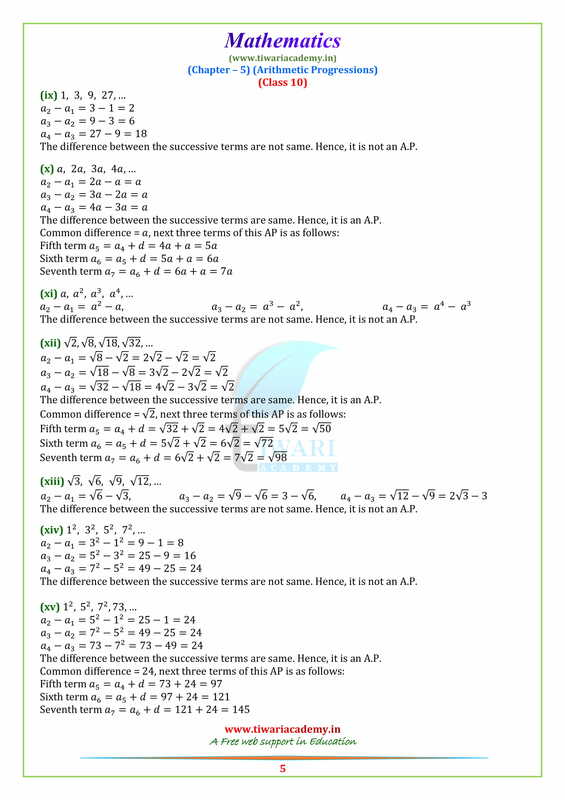 NCERT Solutions for the other subjects for class 10 are also given in the same format to free download. 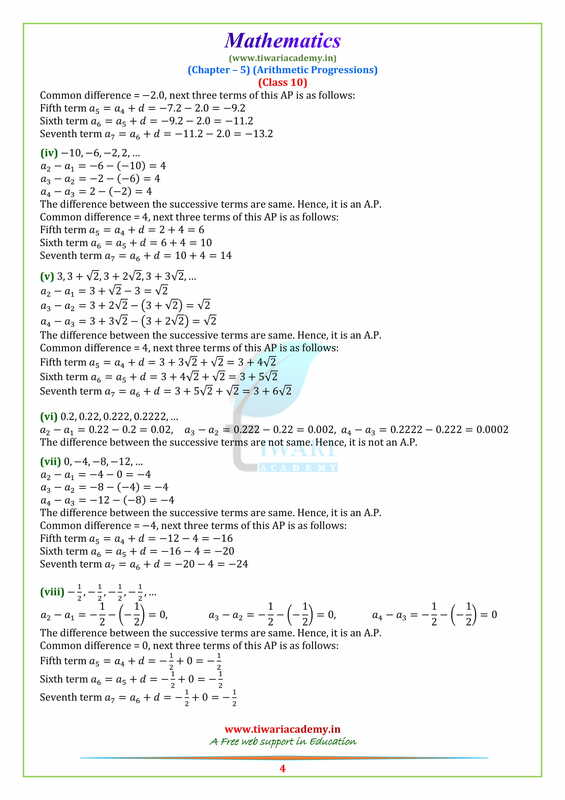 Solutions of Exercise 5.2 or Exercise 5.3 or Exercise 5.4 are also in PDF format or view online without downloading. 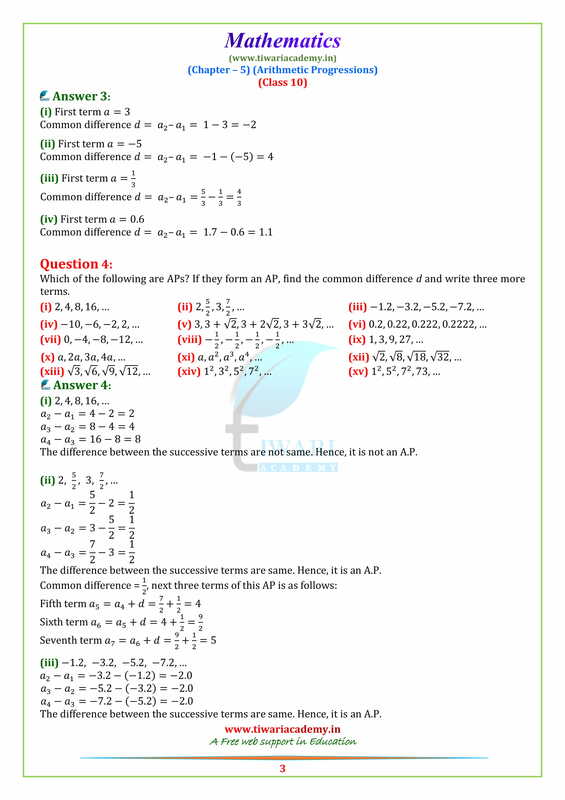 These questions are selected from CBSE Board Papers and CBSE Sample papers to provide better practice to students. 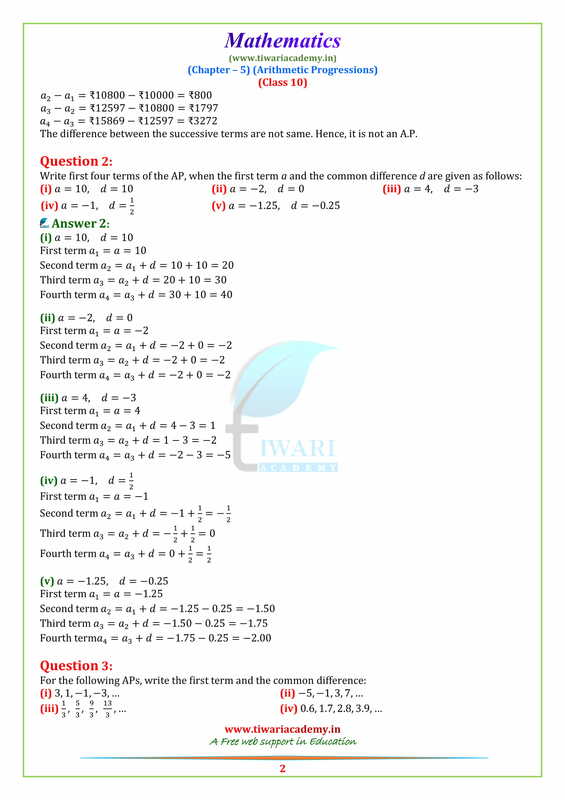 More questions are given for practice in the other exercises sections.